Did you get your invitation? 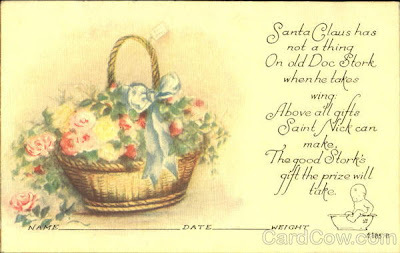 It was very last minute, as Nana postponed the party, something about too much on her plate, or something like that, so I thought I'd try to help out by finding a vintage invitation, some delicious treats, and party favors. but I had a few things ready for a Baby Bella Blog Party. So glad you could come. Here she is now, The "Bella of the Ball"! and a delightful little book called "A Baby is Born". Here's the menu. I think someone requested pink champagne punch. Not too much, we don't want to be seeing those "pink pachyderms"! 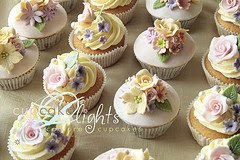 Baby Bella miniature cupcakes, dressed in posies. 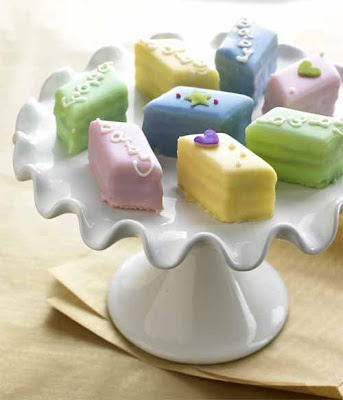 Delectible and delicious petit fours. I'm so glad you could come to Beautiful Bella's Blog Party! So much love and so many prayers, we are all so thrilled to see you "Blossoming"! God Bless You, Little One. Debra...this is so beautiful...sniff, sniff, sniff! Thanks you for the beautiful post, it warmed my heart! How could she not blossom with all the prayers that went up for her? I am sitting here reading comments and crying like a baby myself. God has blessed us by bringing such wonderful people as yourself into our lives. Thank you so much my friend. Awe Debra, your shower was so lovely! What brand of pink champagne is that? It was totally delightful and was delish with the beautiful petit fours. They were almost too pretty to eat! Wonderful party girl, you are the best hostess!!!! Please pass the petit fours and may I please have some more of your delicious champagne punch, I'm not driving anywhere! These were delicious... what a precious package,,, she is just so precious... I bet it is hard to look at her without a huge smile... thanks for the invite.. I truly enjoyed myself..
What a beautiful party you gave for this precious little girl. So many wonderful touches that made it so very special. I see that you even used the cake pedestals you recently created. 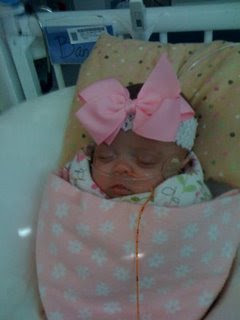 So touching to see everyone come together for this little one~first in prayer and then in celebratory thankfulness. What a sweet post and what a great idea to have a blog party. Made me feel like I was there. What a precious blog you have I'm glad to have come across it and I look forward to searching around. 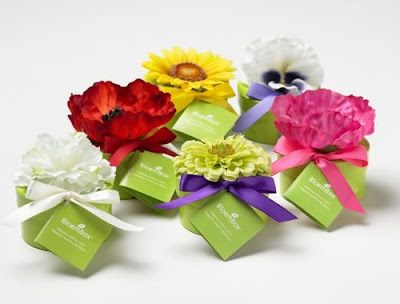 where did you get the "bloom box?"